The Fold 2018 fall market preview + reflection by Carmen Smith. Fall New York Market has quickly come and gone and we feel so grateful to come home to our store that is rich with spring stripes, forward patterns, bold happy hues, feminine silk florals, soft suedes, and leather, leather, leather! Daydreaming of all of you gorgeous women while we are in the showrooms is what we love to do while at market. Each advanced contemporary line in the shop is carefully curated and selected with keen precision in color and style to suit each of your needs. We hope that you can see that our goal is to offer you the very best selection of each designer’s vision for the season so that you’ll want to bring a little bit of New York home to your closet, too. With that said, Fall 2018 is promising to be a strong season for fashion. We can tell you from the bottom of #thefoldgirls hearts, each designer HEARS what you want and need and they are LISTENING! I believe in strong women. I believe in the woman who is able to stand up for herself. I believe in the woman that doesn’t need to hide behind her husband’s back. I believe that if you have problems, as a woman you deal with them, you don’t play victim, you don’t make yourself look pitiful, you don’t point fingers. You stand up and you deal. You face the world with a head held high and you carry the universe in your heart. –C..Joybell C.
This upcoming Fall season, ladies, you will be able to find the clothes to match this notion of strength and solidarity. 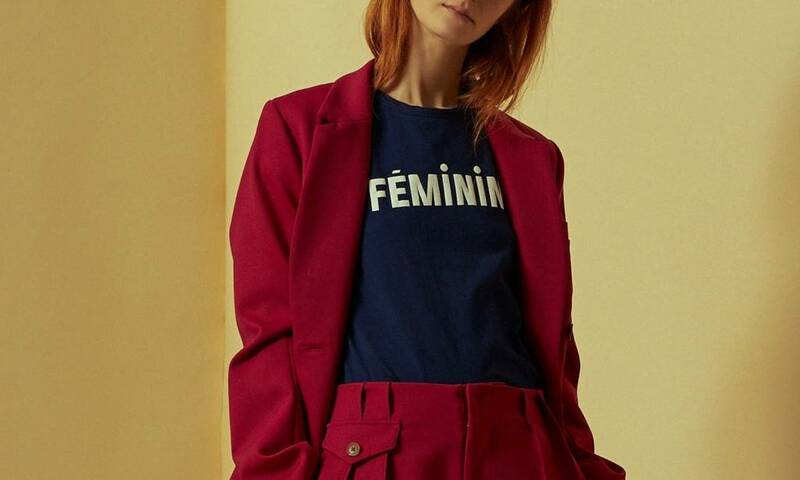 Designers are committed to dressing your spirit and messages of female independence, vitality and power will go beyond your basic graphic t-shirt. Fall 2018 will be a season of layers, giving insight into the soul of a woman whom is no longer concealing her authority. You want armor? The designers are ready to dress you for battle anywhere from deep-colored, vivid faux furs, to leather puffer coats, long sleek leather jackets with a collar that will set your soul on fire, dreamy warm shearlings, up-to-date trench coats, Italian canvas restructured army jackets, and 70’s style suiting that gives just enough femininity to the modern suit making you look fashion-forward, yet important [because you are]. You will find most designers, this Fall, paying tribute the 70’s and 80’s in fashion, but don’t let that fool you - the 70’s were about change and the 80’s were about the celebration of this change. The fashion world is reminding us that positive change is coming and they are dressing us for it at the same time. Clearly each designer this Fall focused on outerwear, but each had a significant part of their collection bringing back chunky knits that are: off-the-shoulder, cashmere, or hand-knit. And back by popular demand, the turtleneck has returned along with grungy and dressy cardigan options. Designers want you to have armor, but they also want you to be comfortable under each coating option. And underneath it all, fashion designer Nili Lotan, reminds us through her own collection to “Remember Love”. Peeling away each layer of clothing by the depth of each shell’s texture, designers this season didn’t forget to offer fine silk with lace blouses and camisoles. Hence, these are the layers that guard a woman’s heart, so the material should feel luxurious, gentle and soft. On the outside, we are Joan of Arc. On the inside, we are Mother Teresa. We slay and we pray. We are soldiers of love. Thank you to the fashion industry for dressing us for battle, victory, supporting change, and reminding us of whom we are this upcoming Fall season. It is a joy to be able to provide fashion and styling for you and all the roles you play as a woman. More importantly, it is an absolute honor to get to know your hearts in the process. Because your hearts are beautiful, strong, confident and pure – they will save this world. Fashion says so.